The 1.0 version of this release offers users new features and an improved performance. 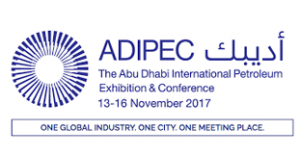 It marks a significant milestone in the growth of the offshore community which brings together all professionals and marine assets within the industry to meet the demand and supply of clients in a transparent manner. With over 12,000 offshore companies and supporting vessels, a selection of 40 types of vessels in more than 20 areas globally, OOS International is the first to bring this innovative cloud-based generation technology with a massive scalability for offshore transport supply chain optimization to the market. 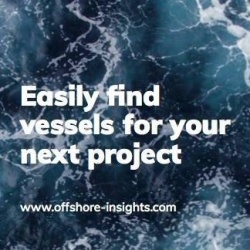 Offshore Insights is designed to help governments, shipyards, insurance companies, environmental institutions, NOC’s, IOC’s and other users improve their operations and collaboration on projects worldwide. 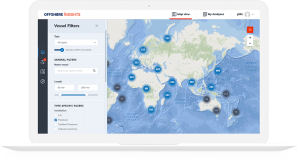 Offshore Insights supports users in need of transport to track vessels using the selection of data that best fit their business. The platform allows users to easily and efficiently manage a wide range of strategic activities by analyzing and monitoring big data with a ready-to-use online map for new business opportunities. Powerful advanced analytical capabilities combined with detailed location intelligence offers professionals comprehensive visibility into essential technical, economic and location data of supporting vessels which enables them to make better decisions on how to accelerate cost and environmental damage reducing solutions effectively. The company invests to provide the highest level of availability and security. Offshore Insights delivers constant uptime to ensure users’ profiles and their critical data are accessible and safe. 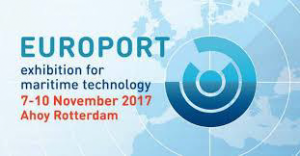 “We are extremely proud of this ground-breaking innovation together with our valued partner Offshore-Insights.The development of this program has been a collaborative effort between developers, project managers, IT-specialists and marketing experts contributed to build this strong virtual integrated platform for the offshore community,” says Mr. Léon Overdulve, CEO of OOS International.